Cindy M wrote to me and asked: "Hello! Just read the Bran Mash article and was wondering if you give this bran mash to them instead of a meal? in between meals? We are pretty new to the horse world, but already have way too much experience with colic. Wondering if this might help. Thanks for the info." Hey Cindy, thanks for writing. Giving your horse a bran in a mash is not necessarily a colic treatment, such as when they are exhibiting colic symptoms. But it may be one of the things you should consider overall for your horse's health, particularly digestive help, and as a preventative measure for colic particular if you keep you horse in a sandy area and your horse may consume sand when it is picking up hay off the ground,....hence the name sand colic. I give a weekly bran mash as one of my preventative measures for sand colic and for general digestive health. I use a little bit of molasses and corn oil to help the taste and I sometimes include a couple scoops of Sand Clear. I feed it an addition to regular feedings, usually equal time between feedings. One of the best sources for Horse Nutrition is the book, Equine Clinical Nutrition, by Lon D. Lewis, Williams & Wilkins, 1995. 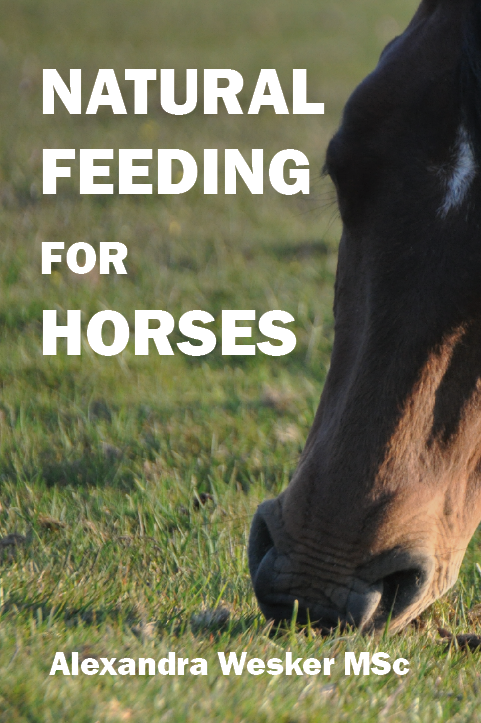 This books states "While some people feed wheat bran to help with digestive health and a colic preventative, Bran has no laxative effect nor soften stools (manure) in horses, and that there is no evidence either way that bran mash can help prevent colic." As much respect as I have for Lewis’ work, I will remain one of those people who think a weekly bran mash is a probably a good idea. Some people say that using corn oil is counter productive when mixing it with bran or any Psyllium product. I don't see that, especially with the small amounts of corn oil I use. Other people won't use molasses as it may spike the horses blood sugar,..again, I use very small amounts. Bran is actually the ground up outer layer of a kernel of grain. Most bran available at feed stores is wheat bran or rice bran. The different being that rice bran has a much higher fat content and can more easily go rancid. Bran is a low density feed at about half or less the weight compared to the same volume of grains such as oats or corn. So the same volume of bran compared to its grain counterpart provides only half the digestible energy. If I'm working a horse pretty hard or have to use him two pretty long days in a row, I may feed him a bran mash each day for it's energy value. Again, with just a small amount of corn oil and molasses to make it a little more palatable to the horse. Given the same weight (not volume) Wheat Bran actually provides slightly more digestible energy than Alfalfa, Grass Hay or Beet Pulp, but is actually lower in percentage of crude fiber. But Wheat Bran is not something you can use to replace Alfalfa and Grass Hay. Another thing you may consider doing is tuning in SmartPak's Webinar's on Horse Health issues. SmartPak is a equine supplement distributor, and more than a distributor, as they customize supplement packets based on owner and horse needs. This Thursday, September 13th, SmartPak is hosting two Colic Prevention Live Webinars,...one at noon to 1pm the other at 7 to 8 pm. This is advertised as a free one hour live webinar on Colic Prevention including smart tips to reduce your horse’s risk presented by Dr. Lydia Gray, Medical Director and Jessica Normand, Senior Director - SmartSupplements™ at SmartPak. I use a pelleted feed product called Patriot from ADM Alliance Nutrition. What I like about ADM is their motto is "Forage First". ADM proclaims horses are classified as non-ruminant herbivores, with digestive tracts designed to best utilize good-quality forages....and that research shows that feeding programs relying too heavily on cereal grains, with limited forage, often result in health and performance problems. ADM has a very good website with horse nutritional information and information on their seminars. You may want to bookmark this site and refer to the very good ADM articles on Horse Health issues. I hope this helps Cindy,...Safe Journey.